The radio mogul’s wife is alleged to have been left with a bloodied mouth and bruises to her body, while he himself was allegedly beaten as well as bitten on the nose and lips. Police statements have given a clearer picture of what happened during the violent dispute between Power FM head Given Mkhari and wife Ipeleng, Sunday World has reported. The radio boss was allegedly beaten and bitten on the nose and lips, while his wife sustained a bloodied mouth and bruises to her body. The dispute was allegedly caused by a text message the broadcasting mogul received from a woman, identified only as Puleng, who is reported to have referred to Mkhari as ‘baby’ and asked if he would still be coming to see her. It is alleged that seeing the SMS, which his wife took as evidence of infidelity, drove Ipeleng into a frenzy, culminating in the physical altercation between the two. This information is reportedly contained in statements made to the police by both parties when they opened cases against each other at Randburg Police Station. The couple later resolved to deal with the matter out of court, with both parties withdrawing the cases. 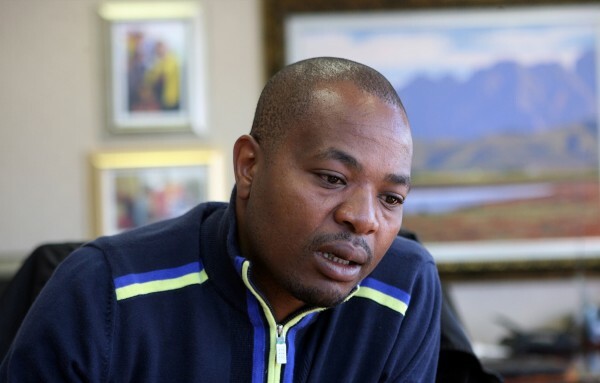 NPA spokesperson Phindi Mjonondwane confirmed that the prosecuting authority did intend to proceed with the case after first seeing the docket, but had now “provisionally withdrawn the case for reasons we cannot discuss with the media”. “Also, the matter is still under investigation, as we have requested the police to investigate and obtain for us certain information that we wanted,” she continued. While neither Given nor Ipeleng were available for comment, Mfana Gwala, who identified himself as Ipeleng’s legal representative and family spokesperson, denied the altercation had in fact been caused by an SMS. “Our client, Mrs Ipeleng Mkhari, has brought it to our attention that you alleged that there was a message on her husband’s phone which led to the domestic incident. We hereby place it on record that those allegations are false,” Gwala said. According to a police statement supplied by Given Mkhari and cited in the Sunday World story, he was watching TV in bed when his wife approached him, insulting him and accusing him of infidelity. “She assaulted him on his face with her open hands, pushed him and bite (sic) him on his nose and lips with her teeth. He sustained injuries on his nose and lips,” the statement says. Ipeleng Mkhari’s statement allegedly mentions the SMS, saying she was home after their daughter’s birthday party when she saw the text message from ‘Puleng’ and confronted him. The police document states that Ipeleng sustained injuries to her mouth, lips and solar plexus from the assault by Mkhari, who left after the incident.